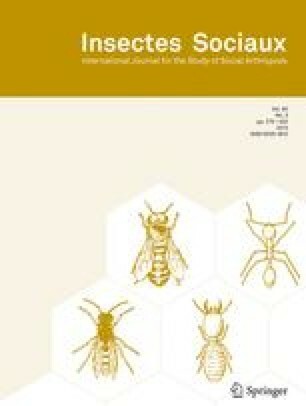 The interactions of worker honey bees with queens cells could influence the outcome of the queen replacement process, and could potentially contribute to the spread of the African honey bee in the New World if workers exhibit racial preferences during queen rearing. We examined worker-queen cell interactions in hybrid colonies that contained African and European patrilines. Worker interactions were associated with a queen's emergence success (e.g. the probability that she would develop to emergence). Compared to queen cells that were destroyed, those that emerged were initiated sooner during the rearing process, were started from younger brood, were visited and incubated at higher rates, and received more vibration signals from workers. In contrast, the worker interactions examined did not influence emergence order (e.g. the sequence that queens emerged relative to one another). African- and European-paternity queens experienced similar emergence success, and did not differ in the rates at which workers visited, incubated or vibrated their cells. African-patriline workers were more likely to engage in queen rearing than their European-paternity nestmates. Workers of both patrilines exhibited super-sister preferences when visiting queen larvae, but showed variable or no kin discrimination during incubation and vibration signal activity. Thus, honey bee workers may use a variety of mechanisms to influence queen development. However, they do not exhibit marked racial or kinship preferences when interacting with queen cells, suggesting that the queen rearing process has not contributed strongly to the spread of the African bee in the Western Hemisphere. Key words: Queen rearing, worker-queen interactions, vibration signal, Africanized honey bee. Received 18 September 2001; revised 11 February and 8 May 2002; accepted 14 May 2002.